Indian has entered with a 2015 Chief Classic, a 2015 Indian Scout and the 2017 Spirit of Munro Scout. They were dangers from two Indian technicians and Lee Munro, the great-grandfather of Burt Munro. 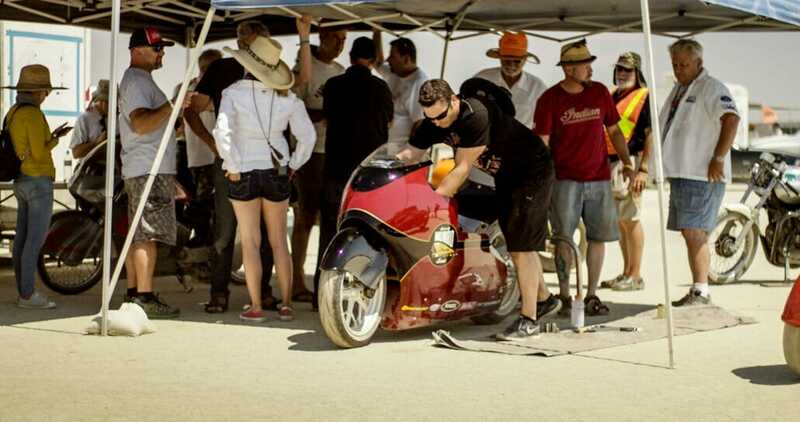 The first record was entered by Chet Michaelson in the M-PG class up to 2000 cc with the 2015 Indian Chief Classic. 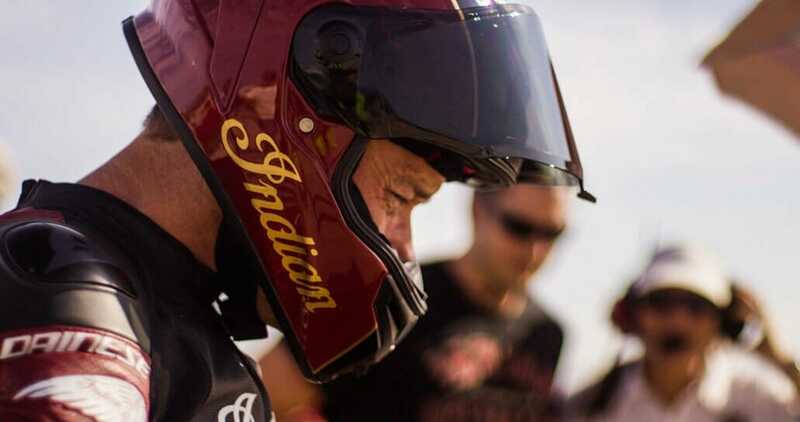 The record was at 151 MPH or 243 km / h and is now at 154,132 MPH or 248 km / h.
Record number two reached Lee Munro with the Spirit of Munro 50th anniversary Indian Scout. He joined the class MPS-G 1350 cc, a class for streamliners. Here the record was 167 MPH or 268.76 km / h. Lee could set a new record with 186,681 MPH or 300,43 km / h.
Dan Gervais could break the record in class M-G. From 153 MPH and 246.23 km / h it went to 154,354 MPH or 248.40 km / h. He drove with the 2015 Indian Scout. Dan Gervais and Lee Munro entered the test runs for the first time. In August, the runs will follow at the Bonneville Salt Flats. But if records are already broken in the run-up, Indian seems to be on a good path.